Local police in Washington state have been granted a warrant to search the Facebook page of a group dedicated to protesting the construction of the $3.8 billion Dakota Access Pipeline. 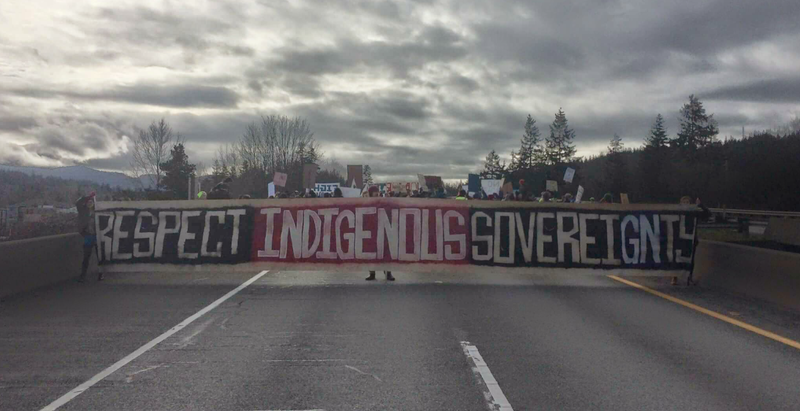 The Whatcom County Sheriff’s Department in Bellingham, Wash., obtained the warrant, which seeks to collect data surrounding the Bellingham #NoDAPL Coalition’s Facebook page, which, as reported by Ars Technica, has more than 1,000 followers, provides information about pipeline environmental issues, and is used to both organize political protests and connect political activists. The warrant, which was signed by a judge Feb. 16, demands that Facebook provide “[s]tored contents: messages, photos, videos, wall posts and location information (IP address login)” in addition to information about those who interacted with the group’s page Feb. 4-15, 2017. According to Ars Technica, the time frame corresponds with a Feb. 11 protest in downtown Bellingham against the Trump administration’s decision to allow construction of the pipeline to continue. On that day, protesters blocked Interstate 5 for more than an hour, causing traffic to snarl for miles. Bellingham resident Neah Monteiro is the page’s top admin, and she received an email from Facebook after the protest stating that the social media site had received a warrant for the page’s data. The American Civil Liberties Union filed a motion to quash the warrant (pdf) on Thursday, saying that the data requested is constitutionally protected speech. The First Amendment protects political speech, the right to receive information, and the right to associate with others to engage in political speech and advocacy without state monitoring or interference. The warrant here intrudes on all of these rights and would chill both political speech and association at the heart of the First Amendment. The warrant also fails to meet the basic Fourth Amendment requirement that warrants be particularized, not least because it potentially extends to any member of the public, supportive or not, who interacted with the group. A hearing on the matter is set for next Tuesday in Whatcom County Superior Court.